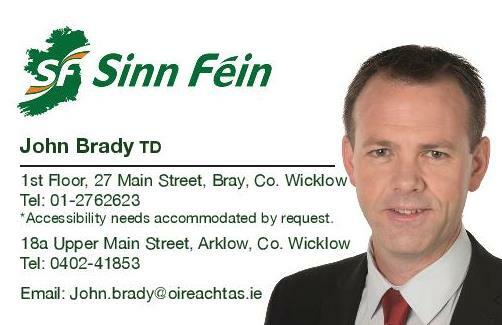 Sinn Féin spokesperson for Social Protection John Brady TD will be calling for the abolition of mandatory retirement age when Sinn Féin's Bill is debated in the Dáil on Thursday. “This Bill seeks to put an end to this discrimination and give workers choice when it comes to their retirement. “This is a Bill about choice for older workers when it comes to their retirement. Instead, of being obliged to retire without any choice whatsoever at 65 or 66 years old, workers will be able to decide if they would like to retire immediately or continue working. “This Bill will also address two major pension issues. It will end the current practice of those forced to sign on for Jobseekers payments at 65 for one year until they are eligible for the State Pension at 66. It will give people who have insufficient contributions for the State Pension an opportunity to continue at work to make up the additional contributions to avoid a reduced pension if they so wish. “Last month, Minister Varadkar announced that it was his intention to make mandatory retirement ages illegal. Fianna Fáil have been consistently in favour of the abolition of mandatory retirement and also tabled a similar Bill after this once was introduced last December.